From classic carpet and rug designs to the more modern or eclectic styles, we are prepared to help with your every design need. Allow one of our design staff to first meet with you to discuss the area and style you are hoping to create with a new rug or carpeted area. We encourage you to share with us any fabric or color swatches that you are working with as well. After learning your interior design needs, our staff can then pull carpet samples that will work to incorporate the rooms feel and decor while still remaining within your allotted budget. Carpet for an entire home or office, area rugs, runners, stair runners and rods, and your outdoor needs, we can provide for your every need and style of carpet fabric from one of our over 25 different manufacturers we proudly represent. 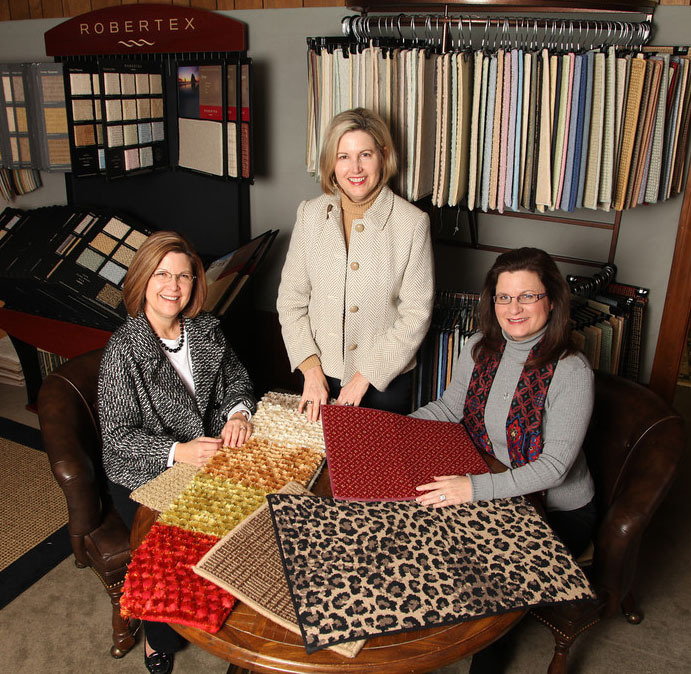 McAbee’s Carpet has been working with the Greenville areas designers for decades and encourage them to contact us to handle their clients carpet and rug needs. Please call to set up a time to meet with a staff member, or use our contact form.